Adrien Voisin was known for his superb portraits of American wild animals and he did several sculptures of Wolves, Lynx, Bobcats, and Bears. 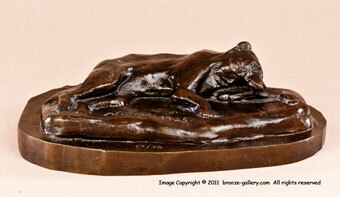 His animals were studied in the wild and are always accurately modeled from life. 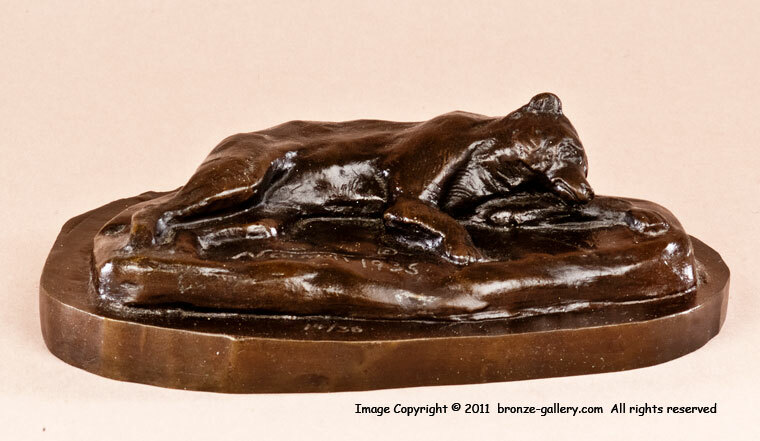 This small bronze shows a Bear sleeping on his side in a relaxed manner. When bears come out of hibernation, they are still quite slow and sleepy and this could be a Bear who has fallen asleep in the sun. An amusing small bronze, it has a dark brown patina and is signed and dated 1935 on the base, it is cast number 14 of 36. 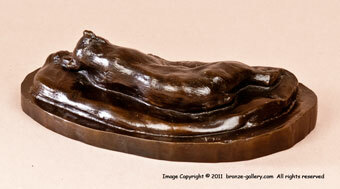 A fine model by an American sculptor that would be a nice paperweight on a desk.